Last Spring I left my favorite scarf at a restaurant in the Omode-sando Station. The colors were perfect, it was super easy to crush into my bag and it always drew compliments despite it having been a random store bought item. Shortly after, I was able to find a yummy, chunky yarn of 45% Silk, 40% Cotton & 15% Wool in an amazingly similar colorway but have started crocheting three different patterns before I found the right one. Thanks to Jennifer Dickerson’s Pavement Infinity Pattern, it is finally a better scarf than the one I left behind. 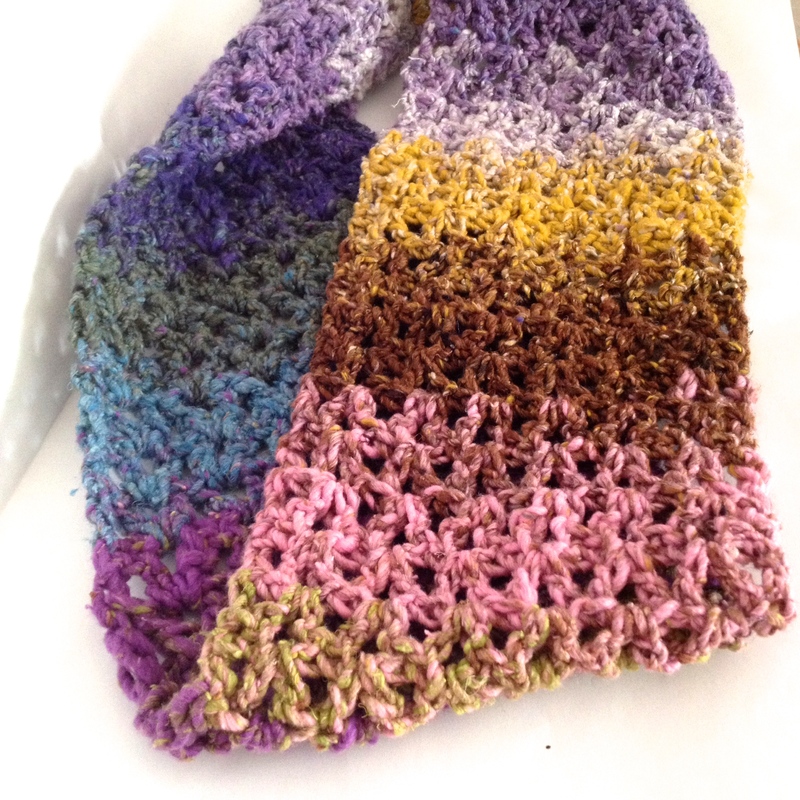 It was an easy, peasy zippy pattern to complete and it really shows off the colors as they each blend into the next. Just in time as things are getting much cooler each day. Pattern Modification: At the beginning of each row, the pattern calls for “ch 3”. Instead I chose to do the (CSDC) Chainless Starting Double Crochet found on Moogly’s Blog, for a much nicer edge. Yarn purchased from Yuzawaya in a Furisode colorway. :) Great excuse is right!! Love the Lichen/Flower display work at Cambridge. What a cool scarf, I want one of these!